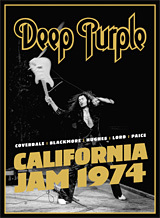 DEEP PURPLEs „California Jam“ appearance, filmed on April 06, 1974 has been available on DVD since 2005. ear music now offers a new cut of the video as 2016 DVD and Blu-ray release. While the DVD, issued in a standard DVD case, features the new version and a digitized Super 8 crew recording, the Blu-ray also offers the original video edit as bonus and is published in a nice Digipak. 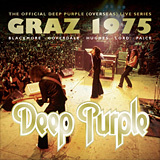 Back in 1969, the lineup of DEEP PURPLE had seen a drastic change: Jon Lord, Ritchie Blackmore and Ian Paice split up with singer Rod Evans and bass player Nick Simper and hired the former EPISODE SIX musicians Ian Gillan and Roger Glover to complete the lineup. 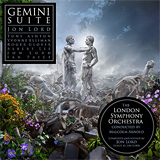 One of the first shows to feature the new lineup was the live performance of Jon Lord’s „Concerto For Group and Orchestra“, an ambitious work to unite the different worlds of a rock band and a full orchestra which lay the foundation for Jon Lords career as composer / writer and solo artist. 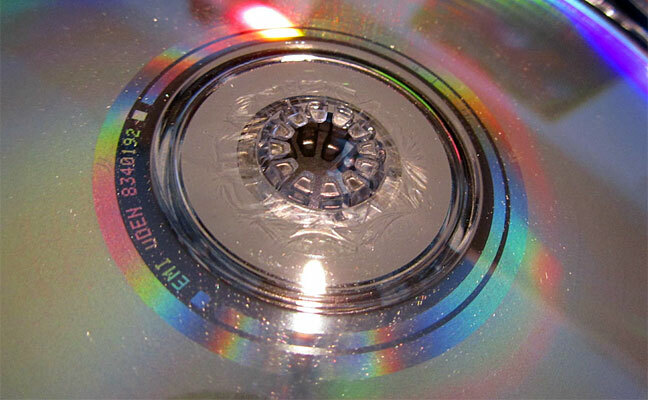 Von der Mitte ausgehend ist das Plastik mit Sprüngen und Kratzern durchbrochen während ein Großteil der Disc mit kleinen Punkten und einem ölig aussehenden Film überzogen ist. Der Innenring der betroffenen CD hat die Prägung “EMI UDEN 8340192″ und “4-1-2-NL” während eine CD mit der Prägung “EMI UDEN 8340192 @12″ und “6-1-4-NL” keine der beschriebenen Symptome aufweist. Back in 1975 DEEP PURPLE MK III were playing their final shows, with the majority of the band and the audience not even knowing. Ritchie Blackmore, unsatisfied with most tracks on the latest DEEP PURPLE album “Stormbringer” collaborated with singer Ronnie James Dio to record a solo single (which grew to an entire album) and finally took the decision to leave DEEP PURPLE and form a new band called RAINBOW. Mit dem richtigen Produzenten klingt Ian Gillan endlich wieder nach Ian Gillan und auch der Rest der Band versprüht auf „Now What? !“ wieder die Spielfreude aus „Purpendicular“-Zeiten. Waren „Field Of Crows“ und „13th Star“ bereits hervorragende Alben, so übertrifft Fish mit „A Feast Of Consequences“ diese mühelos und beeindruckt besonders mit der „The Highwood Suite“.